The Two Night Relaxation Package includes a relaxing one hour massage for one (or two back to back) per stay and entry for two to our cinema one evening. 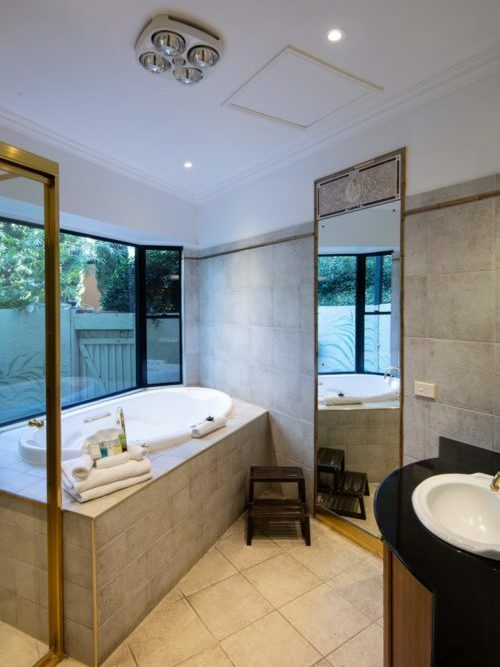 Accommodation is in a romantic chalet style villa complete with decadent double spa bath, four poster king size canopy bed, cedar floor board, sunken lounge room, wood fire place, 5 metre high sandstone walls, granite kitchenette and private outside deck. Includes a delicious and generous home cooked complimentary breakfast. Plus glasses of bubbly and chocolates on arrival.